The attorneys of Schlueter, Mahoney & Ross, P.C. have extensive experience handling a wide array of commercial and business litigation cases. We have represented corporations and medium to small-sized businesses, as well as individual shareholders, business owners, and investors. Our attorneys have the background and experience to handle complex business litigation matters and arbitration proceedings. We understand that business disputes can have a significant impact on your company, and we work with our clients to minimize that impact. We represent clients in a broad scope of civil disputes, such as contract disputes, fraud claims, shareholder and partnership disputes, breach of fiduciary duty claims, consumer protection issues, debt collection, and business dissolutions. 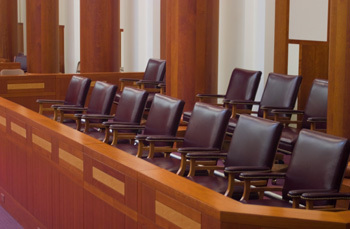 Our diverse civil trial practice includes representation of clients before state and federal trial and appellate courts and administrative agencies. We are dedicated to resolving these various issues for our clients in the most efficient and effective way possible. We understand that clients’ needs are sometimes best served by resolving matters informally or through mediation or arbitration, while other matter require a vigorous litigation position. When trial or arbitration is necessary, our goal is to work with our clients to develop and implement an effective and efficient strategy to win. In doing so, we are aggressive and creative, exploring all possible avenues to achieve our clients’ goals.